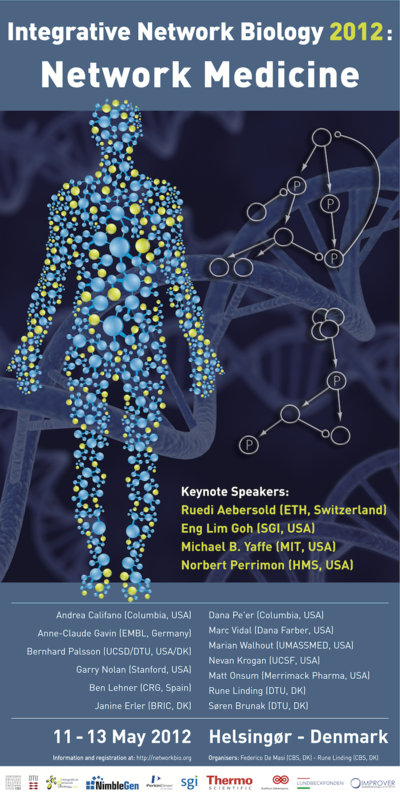 This symposium will take place in Denmark in May/Spring 2012. The conference venue will be the Comwell Spa Resort North of Copenhagen and a reception will take place at the world-renowned Louisiana Museum of Modern Art. Organizers: Federico de Masi (Regulatory Genomics Group, CBS, DTU) & Rune Linding (Cellular Signal Integration Group, DTU, CBS).